Get pumped y'all, Stranger Things 2 will be landing on Netflix in t-minus two hours. 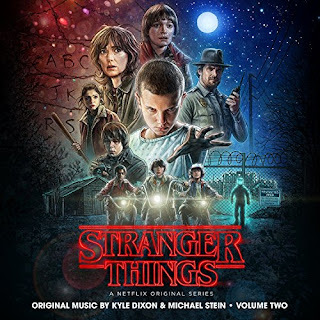 Even if you're not a fan of the show, you have to love the creepy, throwback synths Kyle Dixon and Michael Stein resurrected from the 1980s. Similar to the first volume, there are over thirty full instrumental tracks on Volume 2. Most of the tracks are still less than two minutes long, but they're potent at delivering a mood.